NO. 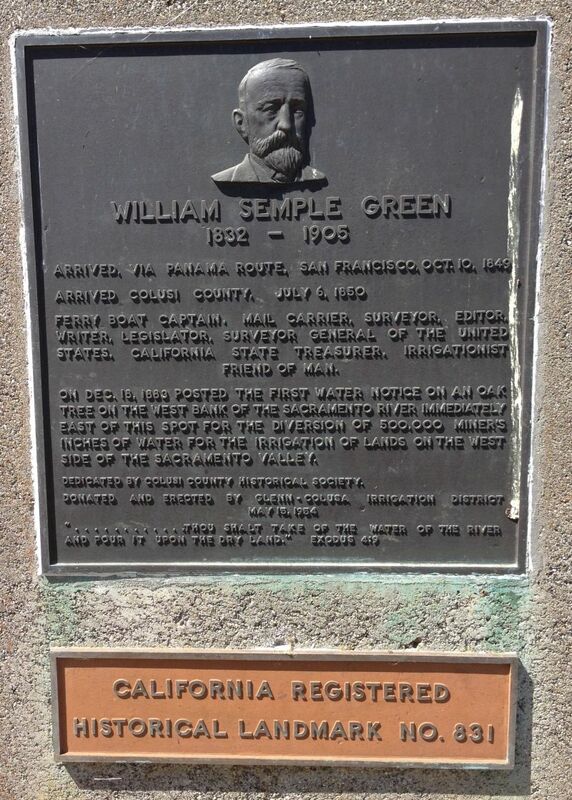 831 SITE OF FIRST POSTED WATER NOTICE BY WILL S. GREEN - Coming via Panama, William Semple Green (1832-1905) arrived in San Francisco on October 10, 1849 and in Colusa County on July 6, 1850. 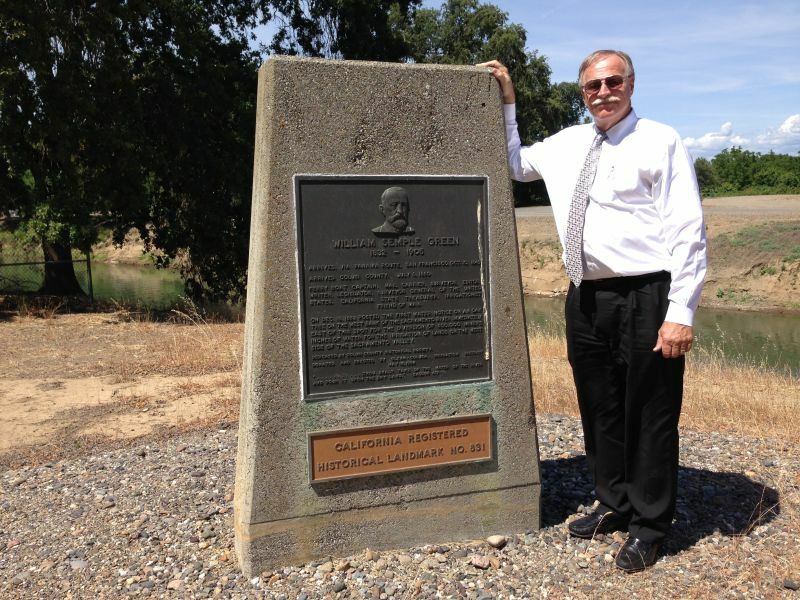 He was a ferryboat captain, mail carrier, surveyor, editor, writer, legislator, Surveyor General of the United States, California State Treasurer, irrigationist, and friend of man. On December 18, 1883, on an oak tree on the west bank of the Sacramento River immediately east of this spot, he posted the first water notice, stating that 500,000 miner's inches of river water was being diverted for irrigation of lands on the west side of the Sacramento Valley.